MEPC 73 brief | ABS Overview of key bunker-related issues addressed at MEPC 73. Updated on 29 Oct 2018 09:18 GMT Source: The American Bureau of Shipping (ABS) The IMO Marine Environment Protection Committee (MEPC) held its 73rd session from October 22 to 26, 2018. Below is an overview of the more significant issues progressed at the session. Air Pollution and Energy Efficiency Prohibition of Carriage of non-compliant Fuel Oil The Committee adopted resolution MEPC.305(73) which amends regulation 14 of MARPOL Annex VI and the form of the Supplement to the IAPP Certificate to prohibit the carriage of non-compliant fuel oil for combustion purposes for propulsion or operation on board a ship. The carriage prohibition does not apply to ships employing an alternative arrangement (e.g., exhaust gas cleaning system) approved under regulation 4.1 of MARPOL Annex VI which is annotated in the Supplement to International Air Pollution Prevention Certificate. This carriage ban enters into force on 1 March 2020 - three months after the 1 January 2020 ban on using non-compliant fuel oil for propulsion or operation on board a ship as per resolution MEPC.280(70). Guidance on Best Practice for Fuel Oil Suppliers The Committee approved MEPC.1/Circ.875/Add.1 on the Guidance on Best Practice for Fuel Oil Suppliers for assuring the quality of fuel oil delivered to ships. The Best Practices address quality control during production of bunkers, in the supply chain and during transport, storage and transfer excluding low flashpoint fuels such as LNG, LPG or methyl/ethyl alcohols and pure biofuels. Sampling and testing should be carried out and documented at each point of product custody transfer throughout the supply chain and at the receiving ship's bunker inlet manifold as per resolution MEPC.182(59). To afford transparency and traceability in the supply chain, records of custody transfer of cargoes, certificates of quality, sample seal numbers and quality analysis reports should be documented. 2020 Global Sulphur Limit A proposal recommending the implementation of an experience-building phase, EBP, to monitor the implementation of the 0.50% m/m global fuel oil sulphur limit was considered by the Committee. The EBP would establish a formalized data collection and analysis measure to identify aspects of implementation that are working well and to shed light on issues that are less effective and require further attention. The proposed EBP includes a systematic and evidence-based process for reviewing and possibly improving the regulatory framework under MARPOL Annex VI related to fuel oil quality and non-availability situations under Regulation 18. The Committee was evenly split on the proposal and invited further concrete proposals on how to enhance the implementation of regulation 18 of MARPOL Annex VI, in particular on fuel oil quality and reporting of non-availability of compliant fuel oils, including the enhancement of the GISIS module for data collection and analysis. Guidance on Development of Ship Implementation Plan for 0.50% Global Sulphur Limit The Committee approved MEPC.1/Circ.878 containing guidance for developing a non-mandatory plan for ships to consistently implement the 0.50% sulphur limit by the 1 January 2020 compliance date. Items recommended to be addressed by the plan include risk assessment and mitigation plan on the impact of new fuels; modifications of the fuel oil system and tank cleaning (as needed); fuel oil capacity and segregation capability; procurement of compliant fuel; fuel oil changeover and documentation and reporting. The Plan should also address issues relating to the use of compliant fuel oil which include the capability/suitability of the ship's equipment (pumps/boilers) to handle different fuel types and associated characteristics, heating requirements, compatibility of different types which are commingled in bunkering or fuel oil changeover and crew preparedness/training for changeover procedures during fuel switching from residual fuel oil to 0.50% compliant fuel oils. MARPOL Fuel Oil Data Collection System - Interpretations The Committee approved three unified interpretations as MEPC.1/Circ.795/Rev.3 which pertain to implement collection and reporting ship-specific data related to fuel consumption which begins on 1 January 2019 under the provisions of MARPOL Annex VI, Chapter 4, as per resolution MEPC.278(70): - Data relating to Boil-off Gas (BOG) consumed on board the ship for propulsion or operation is to be collected and reported as fuel consumed under the Data Collection System. - Ships which have their keel laid prior to 1 January 2019 (the start of the initial period that fuel data is to be collected) but are delivered on or after 1 January 2019 should be provided with a Ship Energy Efficiency Management Plan (SEEMP) that includes a description of the methodology that will be used to collect the fuel consumption data required by regulation MARPOL VI, regulation 22A. - Fuel consumption source data, which is used to provide the aggregate data to be reported to the IMO, is not required to be kept onboard the vessel on the condition that access to the source data can be provided by the Company. GHG reduction The Committee approved a program of follow-up actions to implement the Initial IMO Strategy on reduction of GHG emissions from ships (resolution MEPC.304(72)) and considered how to further progress reduction of GHG emissions from ships taking into account the candidate short-, mid- and long-term further measures, with possible timelines, identified in the Initial IMO Strategy. Follow-up actions to the Initial IMO Strategy The program of follow-up actions, which includes a timeline to 2023, contains the following streams of activity, but recognizes that further activity deemed necessary to implement the Initial IMO Strategy that may be developed: - Group A candidate short-term measures that can be considered and addressed under existing IMO regulations; - Group B candidate short-term measures that are not in progress and are subject to data analysis; - Group C candidate short-term measures that are not in progress and not subject to data analysis; - Candidate mid-/long-term measures and action to address the identified barriers; - Impacts on States (both negative and positive) taking into account geographic remoteness/connectivity to main markets, cargo value/type, transport dependency/ costs, food security, disaster response, cost-effectiveness and socio-economic progress and development; - Fourth IMO GHG Study (see below); - Capacity-building, technical cooperation, research and development, particularly for least developed countries and small island developing states; - Follow-up actions towards the development of the revised Strategy. Concrete proposals on candidate short-term measures will be considered at MEPC 74 (May 2019) and on candidate mid-/long-term measures at MEPC 74 and MEPC 75 (March 2020). Fourth IMO GHG Study The Committee initiated the development of the draft terms of reference for a Fourth IMO GHG Study on the emissions of six specific Green House Gases from ships of 100 GT and above engaged in international voyages. A Steering Committee to be established should be geographically balanced and equitably represent developing and developed countries. Technical and methodological aspects of the Study will be subject to review by an Expert Workshop, to be held in March 2019, prior to finalization. GHG emissions from 2013 to 2018, or as far as statistical data are available, will be estimated using: - a top-down methodology such as fuel sales and shipping demand subject to data availability; and - a bottom-up, ship activity, methodology which would be complemented with activity data derived from all relevant sources and follow the methodology and assumptions used in the Second and Third IMO GHG Studies. Additionally, emissions are to be projected out to 2050 and beyond. The results of both methodologies will be compared, and any discrepancies analyzed and explained, as far as possible. The Study would include suggested approaches to analyze ship fuel oil consumption data collected under regulation 22A of MARPOL Annex VI which could be considered by MEPC 76 in the autumn of 2020 when the analysis of fuel oil data under IMO's GHG Strategy will begin. Progressing further reduction of GHG emissions from ships The Committee noted the initial discussions held on potential early measures that might be developed. Tentative measures include optimal ship routing, speed optimization (taking into account fuel consumption), mandatory goal setting and speed-fuel curves for energy efficiency, enhancing energy efficiency of port activities, incorporating GHG reduction measures in the ship's SEEMP, implementing goal-based energy efficiency measures and alternative low carbon fuels. 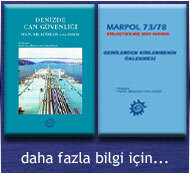 Other Electronic Record Books The Committee approved, in principle, amendments concerning the acceptability of using electronic record books in lieu of the following paper record books: - MARPOL Annex I: Oil Record Book Part I (Machinery space operations) and Part II (Cargo/ballast operations) - MARPOL Annex II: NLS Cargo Record Book - MARPOL Annex V: Garbage Record Book - MARPOL Annex VI: Ozone-depleting substances record book, the logbook on the on/off status of marine diesel engines for NOx Code Tier Standards and the logbook for fuel-oil-change-over operation when entering an ECA - NOX Technical Code: Record Book of Engine Parameters While MEPC 74 is scheduled to adopt the amendments in May 2019, in which case they would enter into force in January 2021, clarification on the following two points is needed before adoption: - The need for the hardware to be type approved; and - The acceptance of an ODS recording system which has not been approved. Supporting these amendments is a draft MEPC resolution on Guidelines for the use of electronic record books under MARPOL, which was approved in principle and subject to adoption at MEPC 74. 2018 Guidelines on Exhaust Gas Recirculation Bleed-off Water The Committee adopted resolution MEPC.307(73) containing the 2018 Guidelines on Exhaust Gas Recirculation (EGR) Bleed-off Water. The condensate of exhaust gas is generated and discharged as bleed-off water, which is handled differently depending on the fuel oil sulphur content: - Bleed-off water, from an EGR using fuel oil not complying with the relevant sulphur limit value in MARPOL VI, should be retained onboard in a holding tank. However, it may be discharged to the sea provided the ship is en route outside polar waters, ports, harbours or estuaries and provided the bleed-off water meets the washwater discharge criteria under the 2015 Guidelines for Exhaust Gas Cleaning Systems (MEPC.259(68)) and that samples are provided to the Administration. - Bleed-off water, from an EGR using fuel oil complying with the relevant sulphur limit value in MARPOL VI, should either (a) meet the same requirements for EGR using non-compliant fuel oil (b) or may be discharged to the sea provided its oil content is monitored to not exceed 15 ppm by an oil content meter that is type approved under resolution MEPC.107(49). The Guidelines should apply to marine diesel engines, fitted with an EGR device having a bleed-off water discharge arrangement, that are initially certified under the NOx Code on or after 1 June 2019. ABS is a global provider of classification and technical advisory services to the marine and offshore industries, working with industry and clients to develop accurate and cost-effective compliance, optimized performance and operational efficiency for marine and offshore assets.